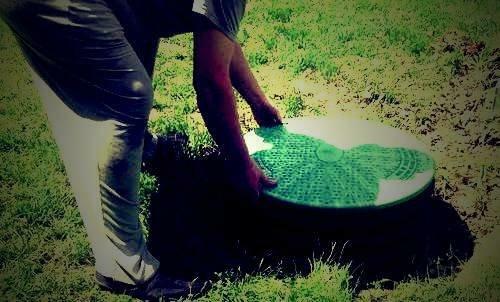 Regular maintenance is very important to extend the life of your septic system. It also prevents possible costly repairs. Tank should be pumped once when the combined depth of the sludge and scum layers equal one third of your septic tank. Minimum requirement of pumping your septic tank should be at least once a year, maybe even more frequently depending on the size of your household and the state of your septic tank. Our team at MegaSeptic could easily determine what the required minimum of pumping is. The full inspection is the one that we in MegaSeptic prefer. At least once a year the complete septic system should be checked thoroughly to avoid any liability issues that might result from malfunctioning system. Using the camera we can determine if the septic tank is leaking or if it is overfull, if the dividing wall is secure, check for corrosion, also the check of the thickness of sludge in the tank and if there are any roots or even backflow. Once when the checkup is done MegaSeptic will gladly fix any of potential encountered problems. Trusting MegaSeptic is the best guarantee for you to have your septic system thoroughly inspected, well maintained and functional.